Mattern Family: Embracing Community Used To Be Hard. 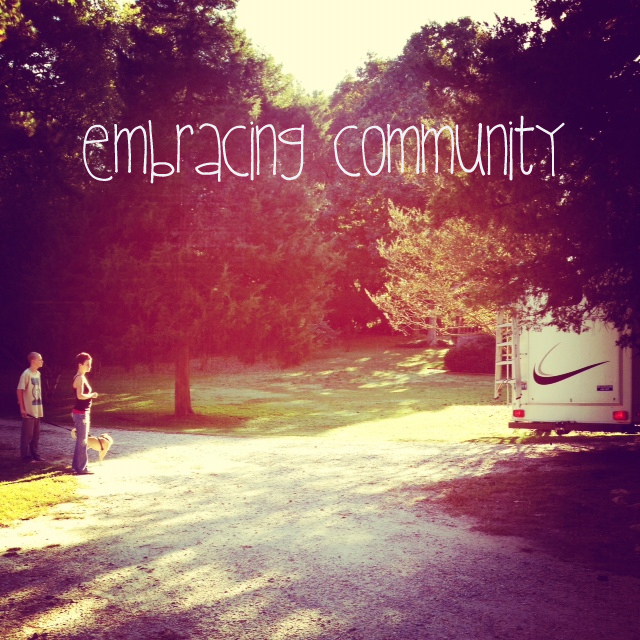 Embracing Community Used To Be Hard. Our family has slowly come from being loners to being a group of people who love spending time with other people. Well, to be honest it's been me that has needed a little extra time to come around. Remember, I'm a reformed hospitality hater and have had to get used to things that go wrong when hosting visitors but it feels like second nature now. This embracing community. Why was it so hard in the past? I think its because I wasn't comfortable being myself. I wanted to please my guests. Making sure that the house was perfect with clean baseboards, the perfect meal, quiet children, etc. Want to know a secret? It's not fun when you are stressed about all that. It makes gatherings miserable. For you and for your guests. Let it go. All of it. The truth is, we are our own worst enemies and critics. That's the bottom line. Our guests aren't coming in with notebooks in hand and listing all the areas that you need to work on regarding you home, your children, your life. Simply put... they want to commune with you. This weekend we have had some wonderful guests at our house. We have had amazing conversations, (even talked politics without arguing), visited the beach, shared a kitchen, all while my children were loud and my baseboards dusty. I'm learning that community is wonderful when we can learn to relax and be genuine. LOVE the new header and catch phrase! So perfect! And I'm learning along side of you, this community thing (from one introvert to another). You're inspiring!